Beautiful sunny maisonette in Sithonia. 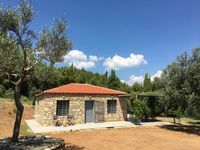 Property 16: Beautiful sunny maisonette in Sithonia. Property 21: Newly built houses for rent in Greece, Nikiti Halkidikis Sithonias. Property 24: Welcome to Sofia's Villa! Property 30: Captain's Duel - Location, location, location! Our little paradise in Nikiti! 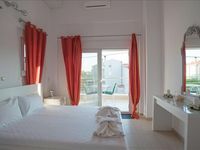 Property 43: Our little paradise in Nikiti! Everything was perfect, we really enjoyed our stay. Highly Recommend. We definitely enjoyed our stay. The house is very clean. Conveniently located to restaurants and the distance to the beach. The house has a designated parking so we did not have to worry about finding place. The home is properly furnished with adequately equipped kitchen. We loved the fact that the house had air conditioners in all bedrooms and living room area. The home had 2 patio areas providing great seating space and barbecue.